First of all, HAPPY NEW YEAR to all my blogger friends! I just love the long long holidays, from New Year's eve half day, to New Year's day, to Saturday, then Sunday. 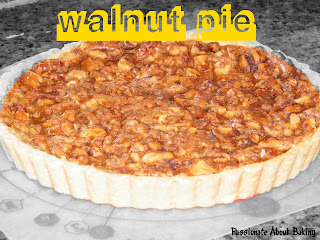 There are so many days of non-work which I can plan and do my bakings. The sad truth is, school is re-opening so SOON! And my LTS (little twin stars) are going to Primary One on Monday! Like any anxious parents, I will tag along to ensure that they settled in in their P1 class. Not that it's the first time my child goes to P1, but that it marks a new phase in their life. So I just want to be in that part of the phase where they will remember and like. Anyway, back to my bakings. 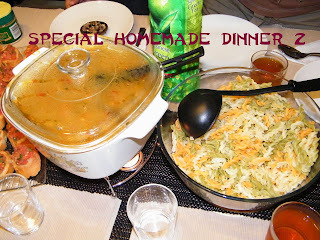 My elder sister invited us to her place for dinner again on Saturday to celebrate her birthday. 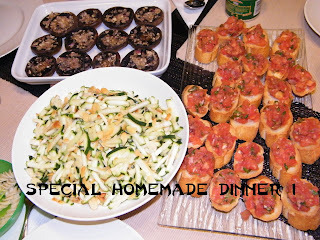 She prepared very sumptuous and wonderful dinner for us. She is one who believes in good quality food for her family and friends, and spends her time in the kitchen preparing these foods for us. I must say, they are truly truly GOOD! 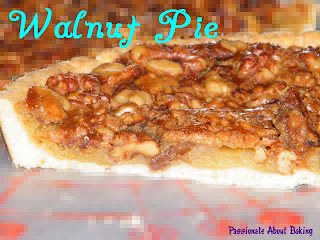 I made two Walnut Pies and a Cheese & Onion Bread for my siblings and parents. I baked the pies on Thursday evening, and brought one over to a friend's house on New Year's day for a gathering. 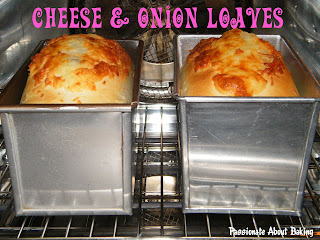 For the Cheese & Onion bread, the original intend is to add cheese to the bread loaf only. However, I realised that my cheddar cheese has expired! :( So I had to use my pizza toppings cheese, which consists mostly of mozzarella cheese. Cheddar cheese are nicer for the bread because it's slightly saltier. So to bring some flavour, I caramelised some onions and add to the cheese. I was rather happy with the combination. 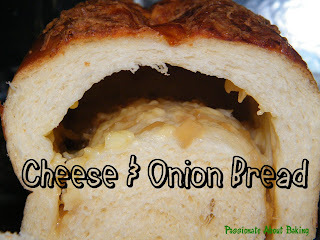 Though the onions didn't make the bread salty, it does make it sweeter! Finally, I promised to bake my sister a Chocolate Praline cake for her birthday. I learnt that from my Chocolate workshop a month ago. I'm glad the cake turned out successful despite it was my first attempt! Happy birthday Steph, and thanks for the wonderful dinner! Happy new year to u!!! Everything u prepared looks good esp the chocalate cake, make me feel like having a slice now. do you do pineapple tart for chinese new year? if yes, whats the cost and speciality? sorry comment here, scrolled up and down cant find your email address. Dropped a @message in your twitter though. I enjoyed browsing your blog. The Chocolate Praline cake is so delicious to look at. 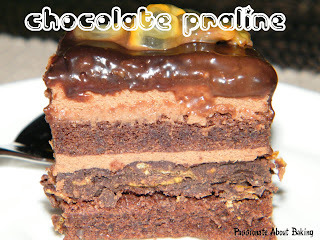 Is it okay to ask for a recipe of the Chocolate Praline? I want to try baking it for Valentine's Day. Please please do grant my request. I'm so sorry. 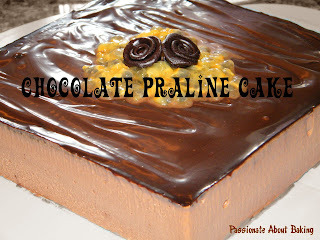 The chocolate praline cake was learnt from a workshop. Therefore, I'm unable to adhere to your request. My sincere apologies. I hope you can understand. Thank you.